Spend your day exploring the beauties of Barcelona. This magnificent park was designed in 1792 by the Italian engineer Domenico Bagutti. Total area of the park is 55 hectares, and it includes flower beds, landscaped gardens, and a waterfall. The park is very romantic, and full of hidden corners and small squares to be found. 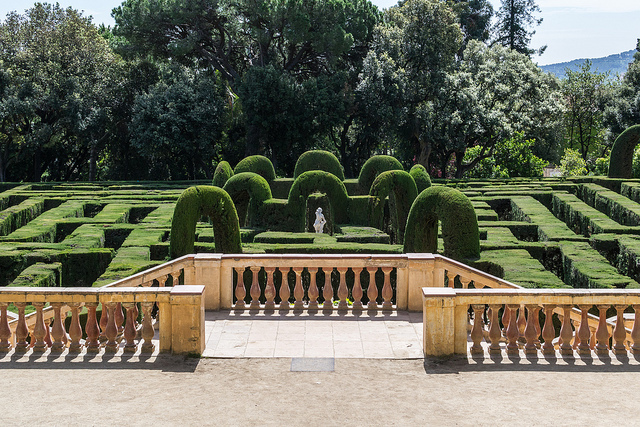 The most famous part of Parc del Laberint d’Horta is of course the maze made of pollarded cypress trees. Jump in to the labyrinth, and find your way out! La Barceloneta is a neighborhood edging the Port Vell and the Barceloneta beach. From there you will find lots of restaurants and bars, and of course the long sand beach. Have a walk on the narrow streets of the neighborhood, or enjoy strolling along the beach and feeling the sea breeze in your hair. 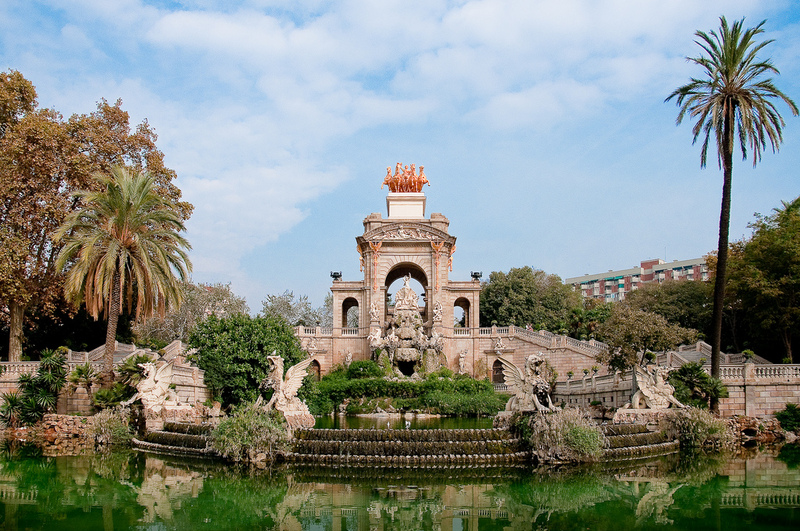 Parc de la Ciutadella is a huge park which includes the Zoo of Barcelona, the Parliament of Catalonia, museums, a lake, and a huge fountain. The park covers an area up to 18 hectares. In Ciutadella you can hire a boat, have a nice afternoon walk, or enjoy a picnic. The park is a perfect place for escaping the noise and bustle of the city. 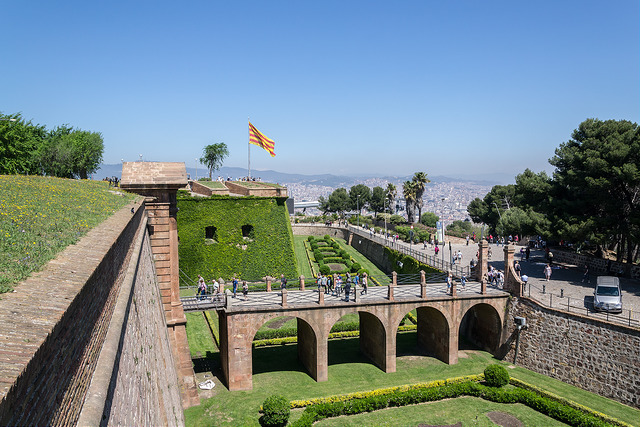 From the old bunkers outside the city center you will have a spectacular view over Barcelona. It is also a great place for watching the sunset. You might recognize the view, because the bunkers have been used as a location for many music videos. For getting to the bunkers take the bus number 24 from Passeig the Gracia and get off at Carrer Muhlberg. 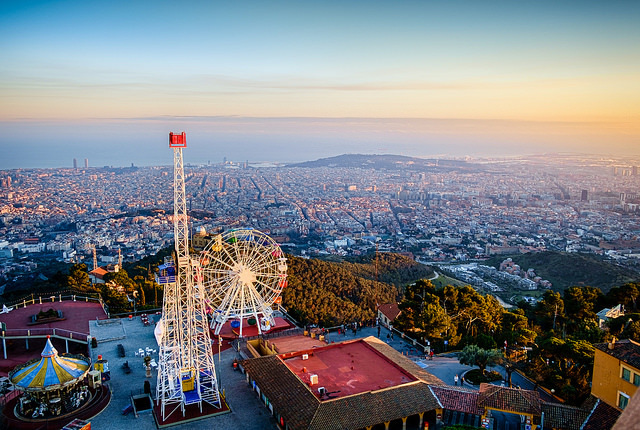 The Tibidabo amusement park is 100 years old, and therefore one of the oldest amusement parks in the world. There are rides to discover, and also street theatre is performed in the park, so even just strolling around is an attraction. As an icing on the cake you will have a great view over Barcelona! The Gothic Quarter is the center of the old town in Barcelona. It consists of small, labyrinth like streets, and old Catalonian buildings. A big part of the neighborhood is closed from regular traffic. From the Gothic Quarter you will find famous landmarks such as Placa Reial, Portal de l’Angel, and Els Quatre Gats. Enjoy a plate of tapas or a glass of cava in one of the many small restaurants in this neighborhood. Montjüic is a hill located south-west from the Barcelona city-centre. On the top of the hill, 173 meters above the sea level, is the Castle of Montjüic. From the castle you will have a full 360º view over the city. For getting to the Montjüic hill you can take the Montjüic cable car or the funicular from Paral-lel metro station. Planning to travel to Barcelona, and all but an apartment is already reserved? Habitat Apartments offers a wide variety of fully equipped apartments all around the city of Barcelona. Have a look for example on this romantic apartment, where sleeps comfortable six persons. 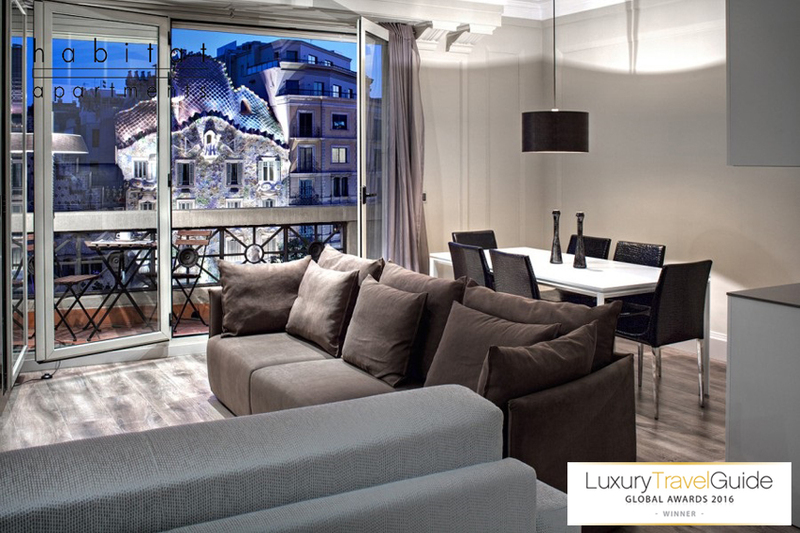 The apartment is located in the exclusive Eixample neighborhood. If you liked this article and would like to know more about Habitat Apartments, feel free to follow us on our sites of social media.